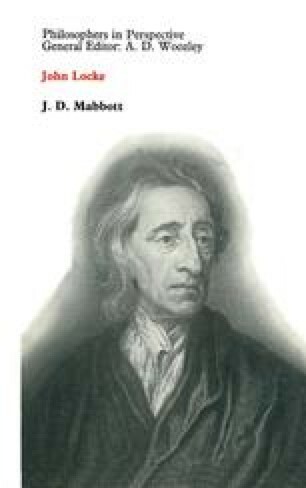 Locke derives the right to private property from the right of self-preservation. God gave the earth to mankind for its use; and this means to men in general not to specific individuals. But, if a man is to live, he must be able to appropriate natural objects for food and drink. He must be able to ‘remove’ them from the common stock, to ‘gather’ them, for his own use. This right requires no consent from other men; if it did the man would starve.1 But, besides this right to appropriate things for his own immediate use and sustenance, a man can also make something his own property by ‘mixing his labour’ with the raw materials nature provides. He may till, plant, improve, cultivate a piece of land; and, because his labour has altered it, it becomes his property.